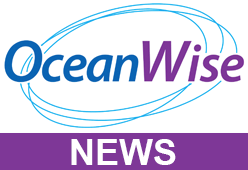 OceanWise, the UK’s leading independent marine data management, publishing and GIS specialist is hosting its annual, free-to-attend, Marine Data Management and GIS Workshop in London on Tuesday 22nd November 2016 at the School of Economic Science, 11 Mandeville Place, London W1U 3AJ. The event has as its theme “Is poor data management putting your operations at risk?”, which is opportune given the huge volumes of geospatial and business data being collected and used on a daily basis. The event is supported by the Association for Geographic Information (AGI). If you are involved in managing marine or maritime assets or in decision-making, then do come along. By improving the way data is managed and used, you can gain real operational efficiencies. Investing in GIS is a great way to visualise such resources and apply them to your business processes. We look forward to seeing you on the day to engage in lively discussion, debate and networking. To register simply click here or, alternatively, email info@oceanwise.eu or call us on 01420 768262. Book now to avoid disappointment as spaces are limited!